Seth Rogen will play Steve Wozniak alongside Christian Bale, who has been cast in the role of Steve Jobs in Sony's upcoming Jobs biopic, reports Variety. Rogen will have the opportunity to get advice directly from Wozniak, who is working as a consultant on the film. 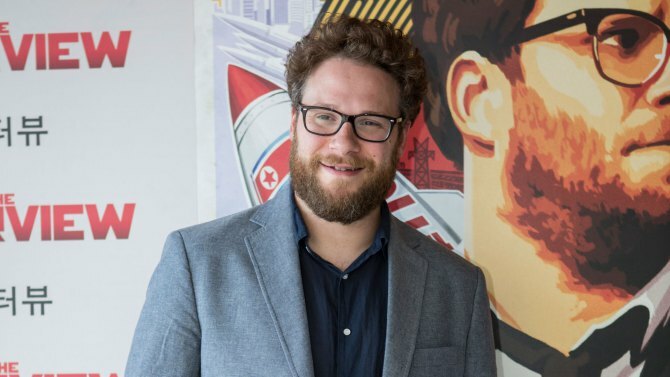 Rogen is a popular actor who has starred in movies like Neighbors, Pineapple Express, Knocked Up and This Is the End. While Rogen often stars in comedic films, he has demonstrated his ability to do more serious work in movies like Take This Waltz and 50/50. After several months of limbo after writer Aaron Sorkin finished the screenplay, production on Sony's Steve Jobs movie is picking up. Danny Boyle, who directed Slumdog Millionaire has been announced as the director of the film, and just last week, Sony signed on Christian Bale to play Jobs. While the previous JOBS movie with Ashton Kutcher focused on Jobs' early life, Sony's film will use material from Walter Isaacson's Steve Jobs biography and will focus on three 30-minute scenes showing three of Apple's product launches. Update: According to TheWrap, Rogen is not yet officially signed on, while Jessica Chastain is also being considered for an unspecified role in the film. Why not just cast the real Wozniak? Hollywood makeup is pretty amazing these days. Do you know how epic that would have been? At least you could have someone on set that could correct all the inaccuracies. Anyone that tells you they saw this coming is the biggest liar the Earth has ever known. People are going to immediately pan this casting, but I can see it working out. Never forget what people said about Heath Ledger as the Joker prior to the film being released. i can't wait to hear the audio tape that gets leaked when Bale freaks out on Seth during filming. Movie ends with Jobs and Woz in the back room getting high. Rogen had a cameo in 22 Jump Street, you're thinking of Jonah Hill. Kinda like mistaking Steve Wozniak for Steve Ballmer. Unless one of the Product launches was the original Mac, I don't see a role for Woz at all. there are good actors, and there are bad actors. i can't think of any good examples now, but the best i can say is that I remember an SNL skit involving the real Mark Zuckerberg. It made me CRINGE to see Zuckerberg trying to play along with the actors. at best, I'd like to see wozniak hired as a consultant, rather than an actor. I might actually see this one. I never bothered with that Ashton Kutcher... thing. Ashton wasn't too bad. The script was not good but Kutcher managed to get Steve's nasily voice and accent down fairly well.